Over the weekend I tried out a new thrift store in the area. Well new for me at least, I think its been around for a few months now. Ever since the store opened I tried to find time to check it out but something always came up. 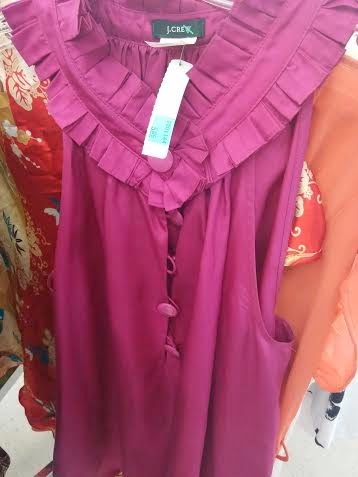 It is called the Arc thrift store. 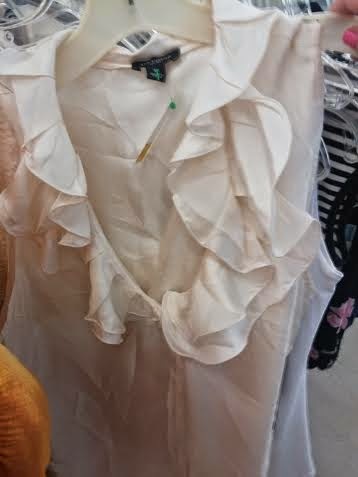 It is quite large by thrift store standards and I had been hearing both good and bad things about it. So needless to say, I was not passing up the opportunity to scope it out for myself when I had a few moments to do so. Like any thrift store it had it's good points and bad ones. 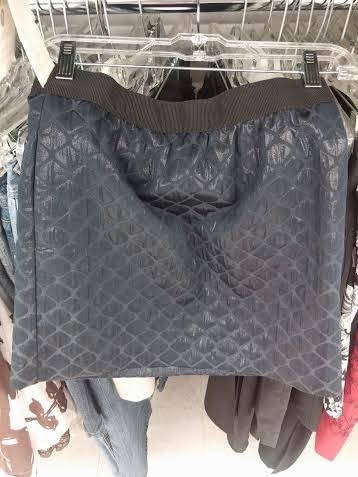 I think the main thing I found with this thrift store was that they had a lot of volume but the quality was not the best when it came to the clothes. But regardless of that I did find a few things I liked. On the plus side the store had some really good sales happening that helped with the overall price I paid for everything! All the shoes were 50% off and the clothing was an additional 30% off. Here is what I found, plus a few items I saw but did not get. 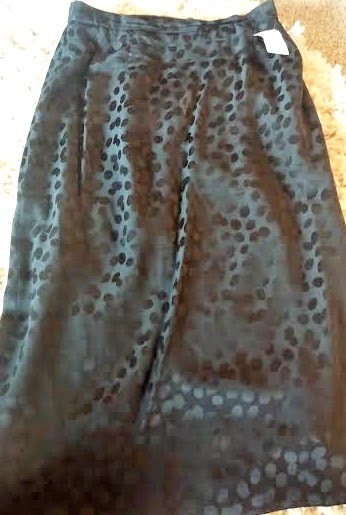 I snagged this polka dot pencil skirt for $2.00 after the 30% off. 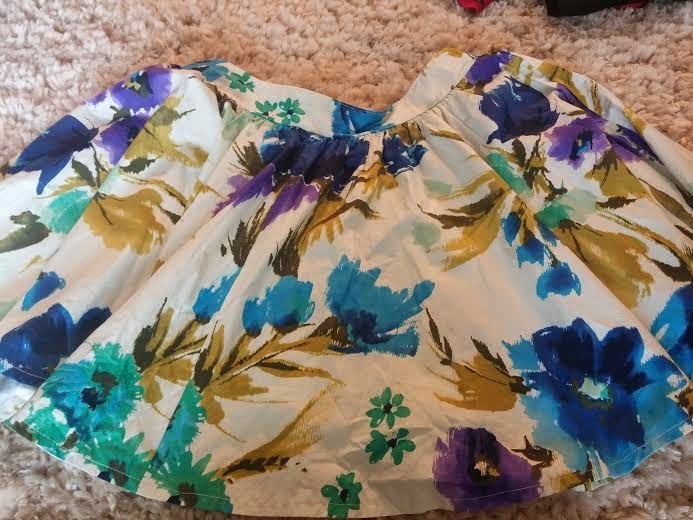 This floral skirt was just $1.99. I am not sure about the length though on me, so I might refashion into something else. I loved the bold summer floral pattern on it. Ok, call me crazy but this midi skirt is my favorite find out of everything I got!! I am obsessed with the pattern even if it is kind of out there. You will see this styled soon! 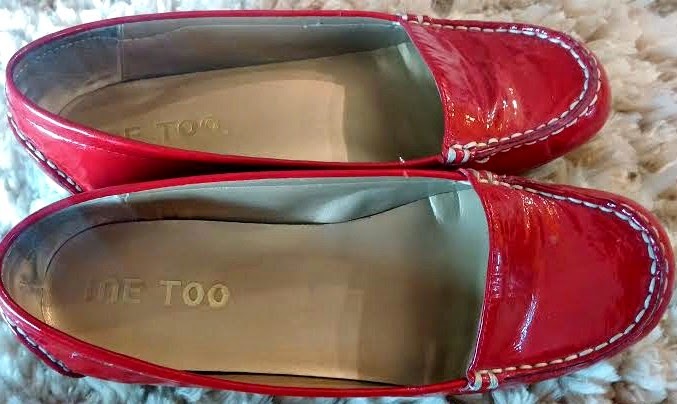 These ME TOO flats were $1.50 after the 50% sale! That is one of my better finds considering these normally retail around $50.00 to $80.00. Finally I snagged these flats for my sista for only $1.00. That is correct! A great deal if I say so myself. Here are a few items I saw but did not end up getting. The J. Crew top was the only one I was second guessing myself about getting. I was close to grabbing it but decided against it. I just didn't think I would wear it enough to justify the purchase. So overall I found some good stuff and yes I will give it another try in the future. There is never the same product day to day in a thrift store so who knows what it will be like a couple months down the road. Ohhh you finally went! I'm sorry you didn't quite love it. I think they have super good product and I always find good things. I find them a bit over priced though,but I noticed even GW is going up. You went on a good day to get all the deals! 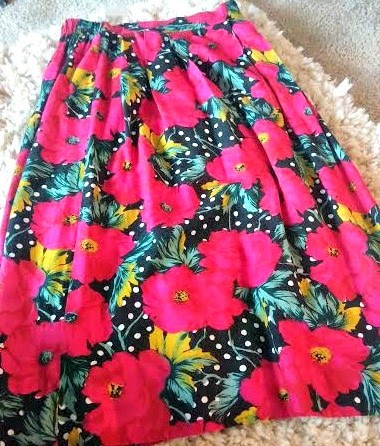 I don't think the bright red floral and dot skirt is crazy at all. I dress like that daily haha! And wow you got some good deals on the shoes. They are usually kind of expensive there. I wish I was your sis-haha! 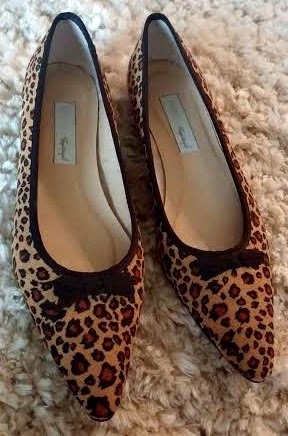 I love those pointed leopard flats..what a find. The red loafers are fun too. Have you had a chance to check our my blog yet? I think you'd like it. We seem to have similar taste. I have checked it out but it won't let me comment for some reason. Settings maybe? Ohhh. Thanks for checking it out. Hope you enjoyed it! I'll have to look at the settings.